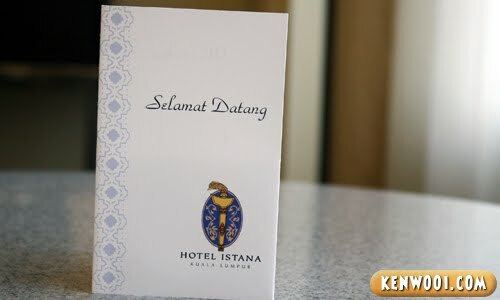 While my family was in Kuala Lumpur for the recent Chinese New Year, we stayed at Hotel Istana at Bukit Bintang. 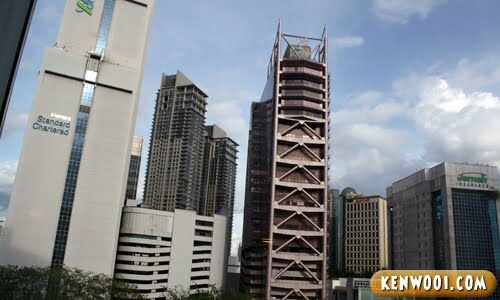 Located at the heart of Kuala Lumpur, no one can deny that it’s a happening place – surrounded by areas of attraction such as The Pavilion, Rum Jungle and Planet Hollywood. But we only explored Bintang Walk and Jalan Alor during the night. When it’s bright and sunny, we were off at other places. 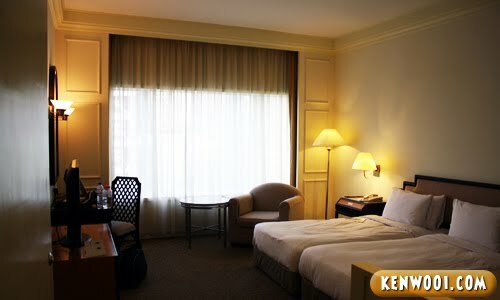 Like any other hotel, this room at Hotel Istana looks pretty cozy. Even though there’s a sofa and a coffee table, it’s still spacious. Oh, the beds are comfortable and wide as well. 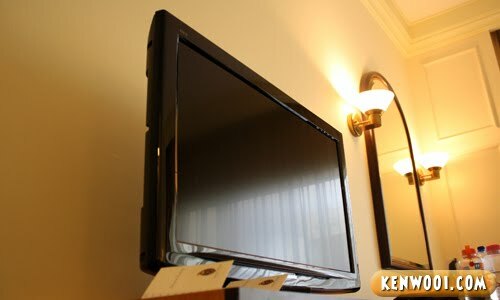 The cool thing about the room is the big flat-screen television. With it, everyone can sit far away and still get to watch – unlike hotels that provide small CRT television, which I’d rather stare the view outside than to strain my eyes. Anyway, here’s the outside view from our hotel room’s window. Tall skyscrapers surrounding the hotel. 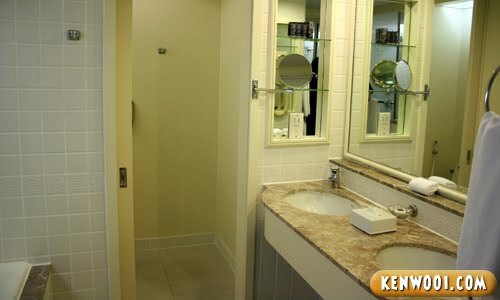 I still find it amusing that many hotels have a bath tub and a shower cubicle together. Perhaps to save time, you and your roomie can wash up together. There’s also two sinks as well. Both can brush teeth and wash face at the same time – therefore, saving time too. Within the toilet, there’s another cubicle with the toilet bowl inside. 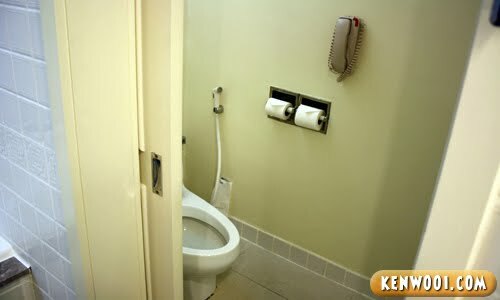 I like this concept because if you take a dump for a very long time, your roomie can still use the toilet for other purposes. 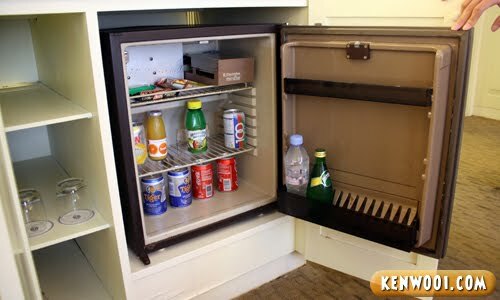 Also within the hotel room, is a refrigerator where drinks and snacks are placed. 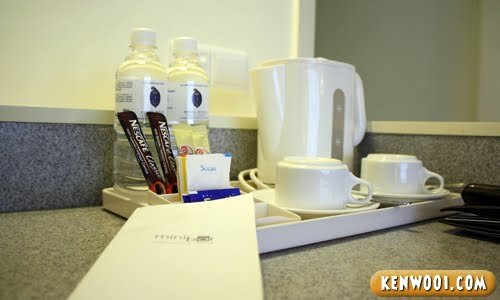 There’s also a so-called “mini bar” in the room. Next, the cabinets – typical cabinets, but I find this compartment interesting. It seems like there’s a built-in seat inside the cabinet. Who knows, maybe it’s comfortable enough for someone to actually sleep inside? Oh yeah not forgetting, there’s a work desk as well – and an Internet cable! Yes! Wah… RM15 for 1 hour?! Damn rip off wei! No wonder it’s called Hotel Istana, which translates to Castle Hotel – where only the King can afford such pricey fee for the Internet! Bath tub!! I just love the hotels with bath tub!! hotel istana looking good but the internet rm15/hr? can use for hours with good computer in cybercafe leh! hey..i like your idea on replacing the things u take from the refrigerator.. never think bout it bro..buffet ramadhan at hotel istana was like walaweh! you better try! Hahaha. CC only costs like RM2 per hour ya? Lol. I remember when I was there for my violin exam last year. For about 15-30 minutes I was there and for 15-30 minutes of parking in Istana Hotel had charged me RM10. Fuuuuyooh. 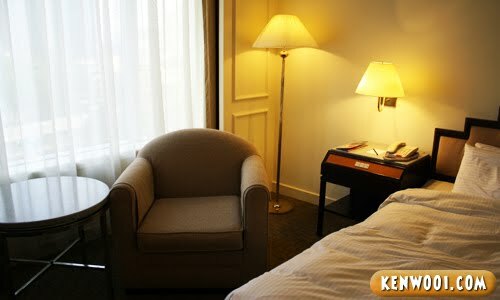 A so called 5 Star Castle Hotel charging RM15 for 1 hour at King’s price but a mamak or an ordinary kopi tiam is giving away free wifi services. So what went wrong actually? Glad to see u enjoyed yourself at KL! nice nice. but i wouldn’t stay there unless my company pays it for me. LOL! They have refurnish the place ya. Used to be quite worn out. How dare the king not come visit you? haha… very da expensive wei the internet rate!!! if u tell them you are Ken (with famous blog), I am sure they will waive the RM15 internet charge, and even upgrade u 24hours free! Sorry…I was busy running around, doing this and that in KL. Didn’t have time to drop by and comment. Flew home last night…so I’m back! istana = place lah…mana ada palace. Your BM so teruk one kah? Muahahahaha!!! I think I’ve got it now. LOL!! Hotel internet – all daylight robbery one. Better bring your own external 3G modem. 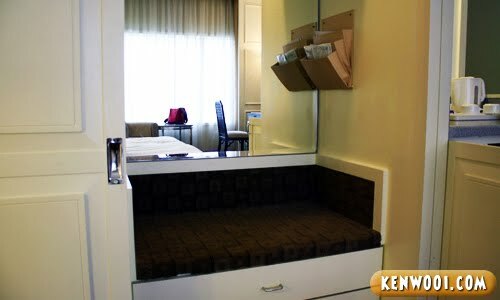 How much one night for a room like that? Double? Btw, where did you get your information from? Now the nightlife is at Changkat Bukit Bintang which is the lane behind Hotel Istana – walking distance. Some call it the “new Bangsar”. looks great, may i know whats the rate? 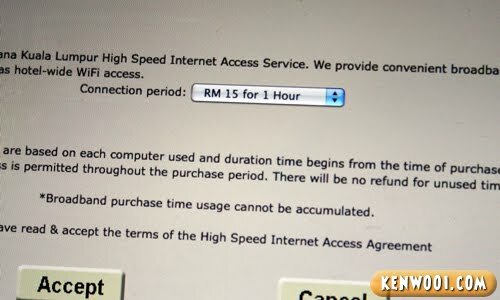 Equatorial Hotel charges more than RM20/hour for the internet. How long does it really take to walk from the hotel(istana) to pavillion? Am deciding if I shld stay in hotel istana or dorsett regency. Any advice?